Home theater fans will tell you there’s nothing like having a well-configured surround-sound setup for enjoying your favorite movies and games—but folks who need to wring entertainment from notebooks, tablets, and othe portable devices will tell you that surround sound just isn’t practical on the go. Peripheral and accessories maker IOGear is looking to bridge that gap by bringing its USB Theater Sound Xperience device to the North American market. 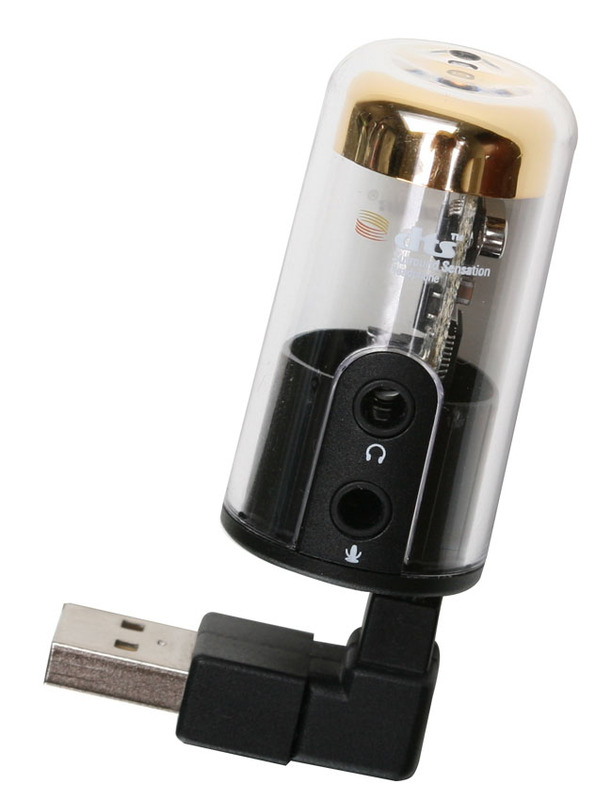 Looking a bit like a vacuum tube with a USB plug at one end, the device enables users to have a simulated DST Surround Sensation experience using everyday stereo headphones. The USB Theater Sounds Experience uses DTS Surround Sensation technology to simulate a surround sound experience from a standard two-channel stereo track: it separates out special frequencies, sudden dynamic shifts, and time delay to create a broader soundstage. The device peripheral uses voice clarification technology to make sure dialog us clear, along with bass enhancement tech to keep the rumble moving and soundstage expansion technology that conveyes a three-dimensional sense of space along with a phantom center channel for dialog and other front-and-center elements. For audio that’s already encoded in 5.1 surround, the USB Theater Sound Xperience adds low frequency effect mixing that adds some low frequency punch into the center channel for a better audio experience through standard headphones. 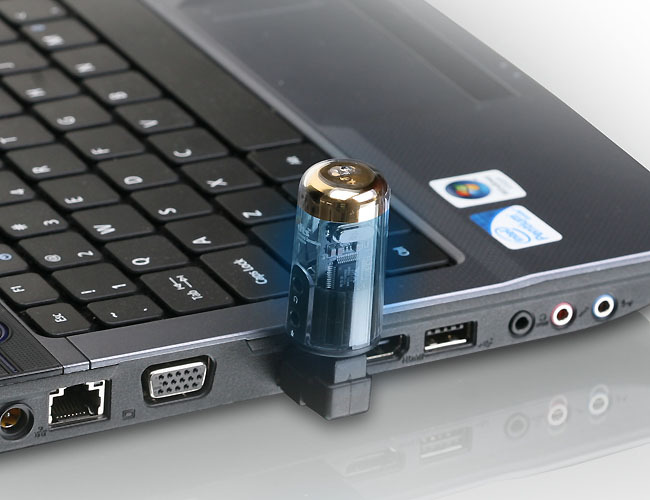 The dongle features 3.5mm headphone and microphone jacks, and IOGear says the technology even helps when plugged into a set of external computer speakers. Although we doubt the USB Theater Sound Xperience is a substitute for a full range surround system, it might be an inexpensive (and portable) way to add some zip to stale stereo content. The IOGear USB Theater Sound Xperience is available now for a suggested price of $39.95.